VeroMediaDesign Event: Digital Photo Contest !!! Category 1: Scenery : Photos that represent the beauty of your hometown/ motherland or the area you are familiar with after living there for a while. 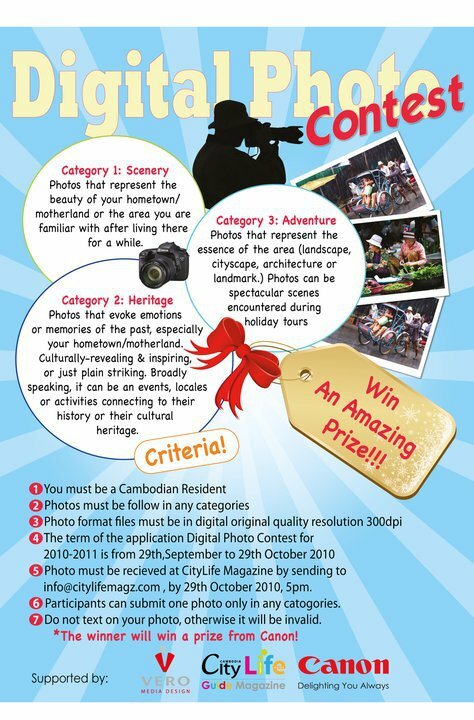 Category 3: Adventure: Photos that represent the essence of the area (landscape, cityscape, architecture or landmark.) Photos can be spectacular scenes encountered during holiday tours. Burger King is going to open in Cambodia?